This PowerPoint Presentation contains 11 slides outlining how to do the Interactive Journals that I use in my AP Lit & Comp classes. 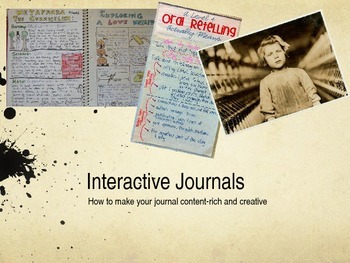 Interactive Journals include charting, doodling, collage, etc and are an alternative to my more traditional journal assignment (also posted here). 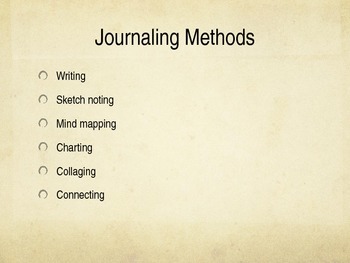 This method of journaling is great for addressing the needs of different kinds of learners! This PP is ready to use with your class! I designed this lesson for my class and so far, it's been a hit with students and I've gotten some amazing work! I hope that this Melanie Hazen TPT Product is a great addition to your class as well!